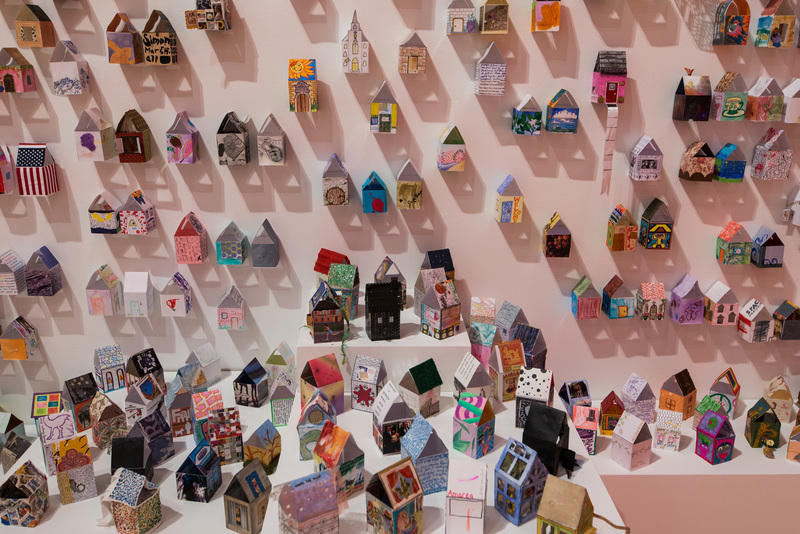 Building A Village, exhibited in Kamloops, BC, 2015. 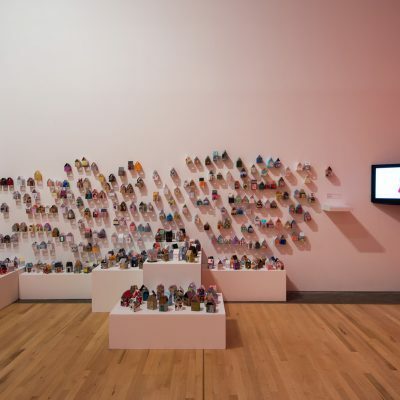 Hall has used social media for many years—as a way to stay in touch with family, friends and colleagues, as well as to soften the isolation sometimes felt by island-dwellers. 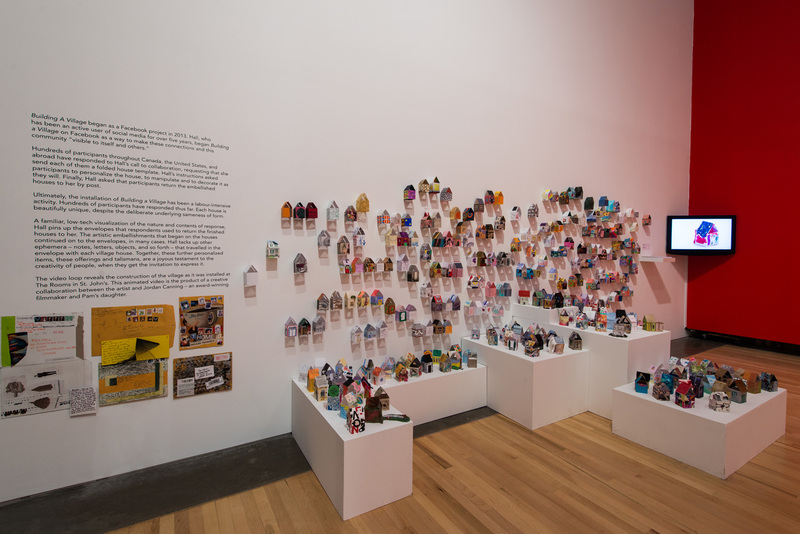 In the spring of 2013, she realized that many of her closest connections existed in this far-flung virtual space that defies geography, denies proximity and holds hard to connections through which she finds support and solace. 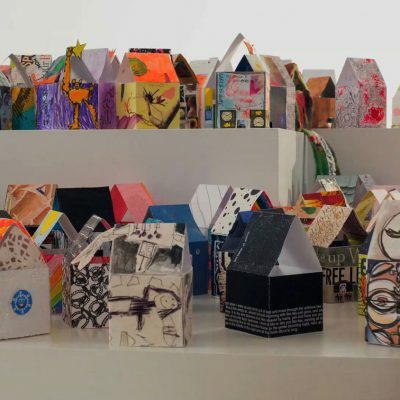 She began Building a Village on Facebook as a way to make these connections and this “community” visible to itself and to others. 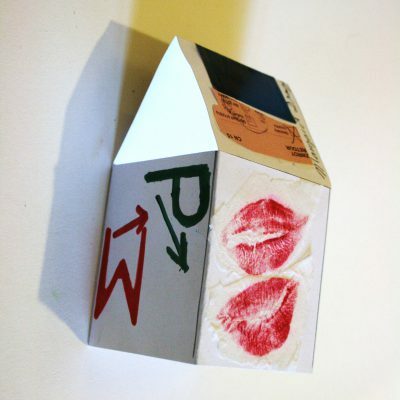 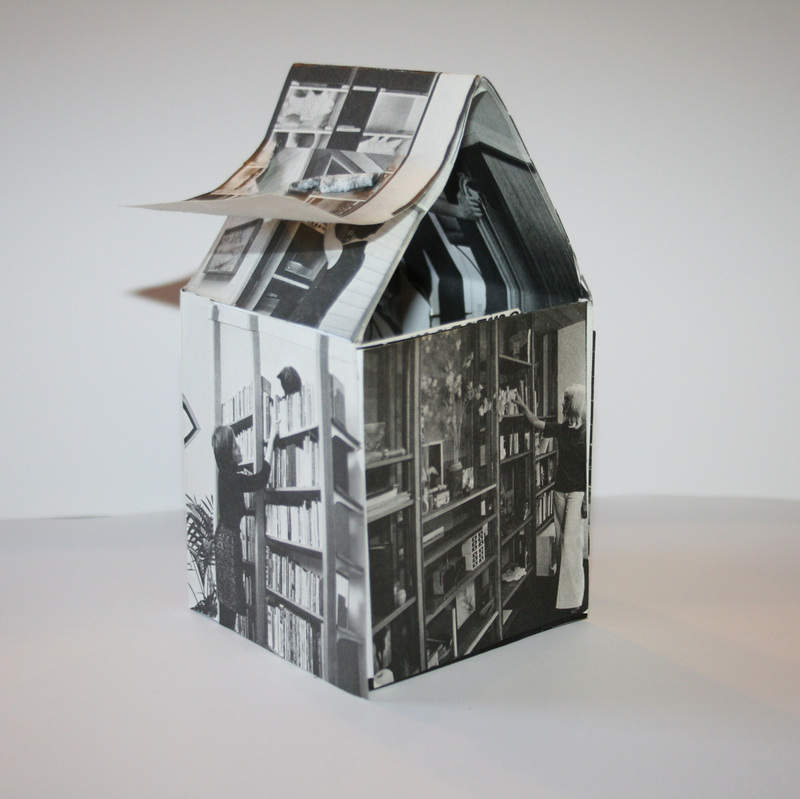 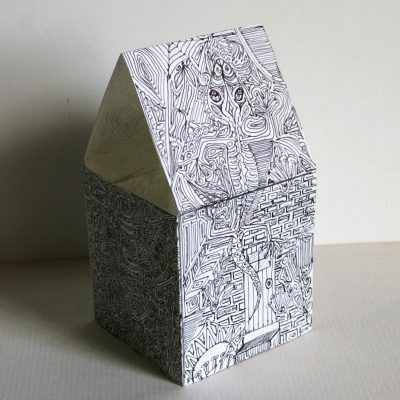 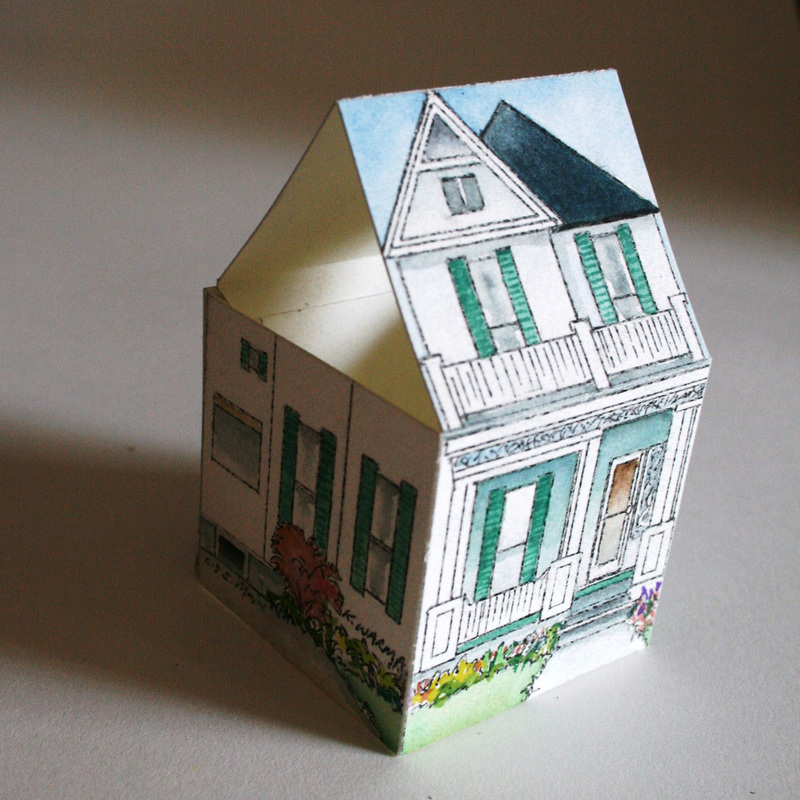 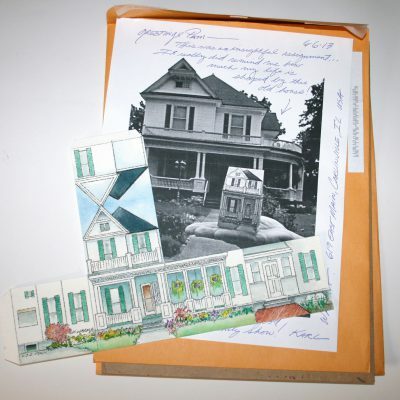 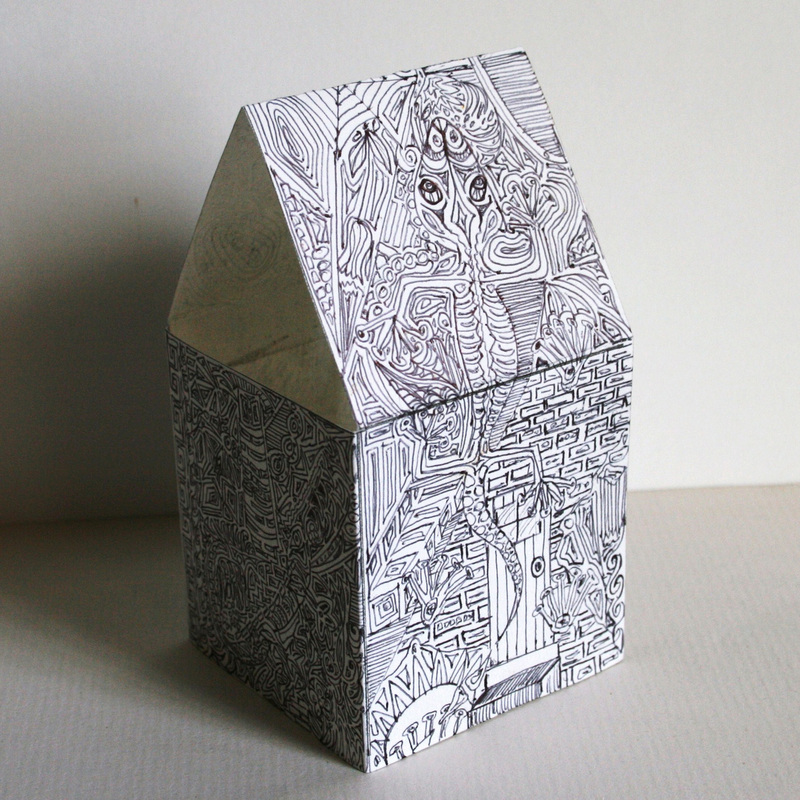 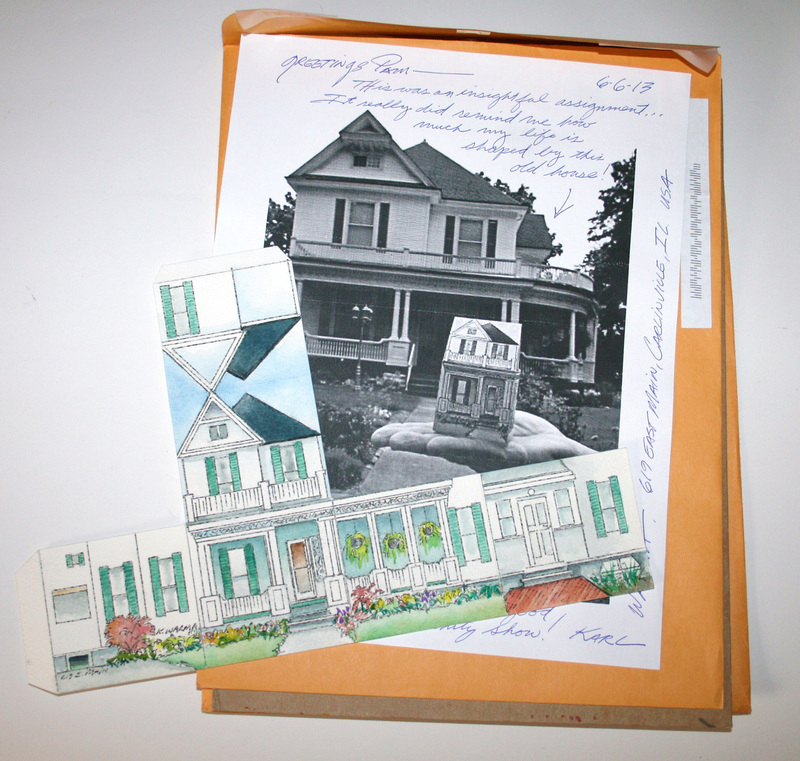 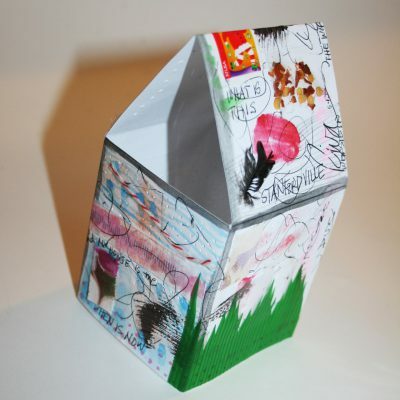 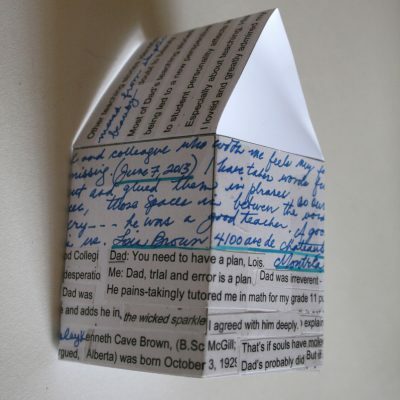 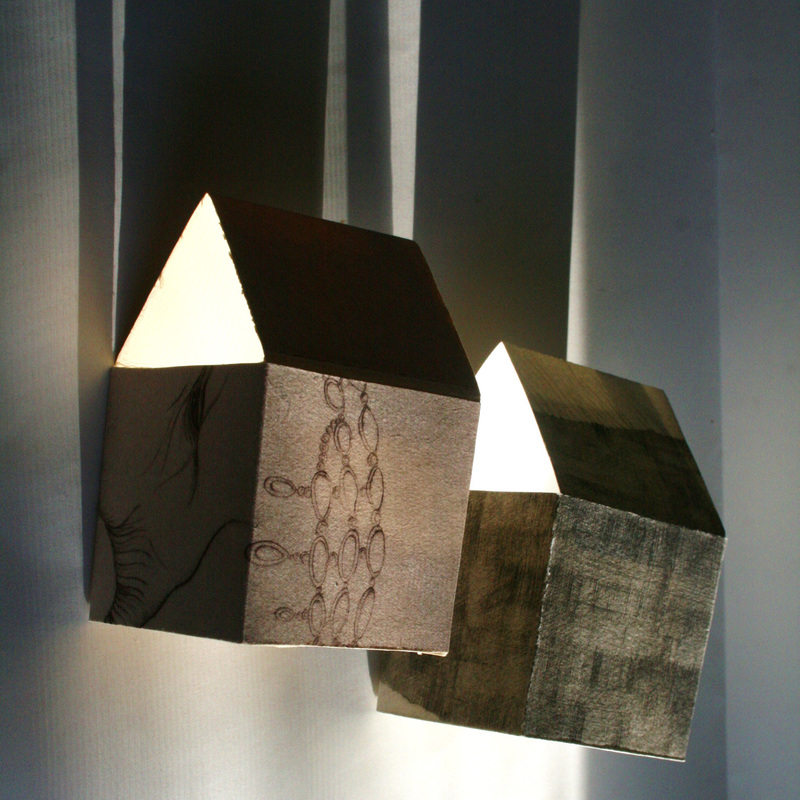 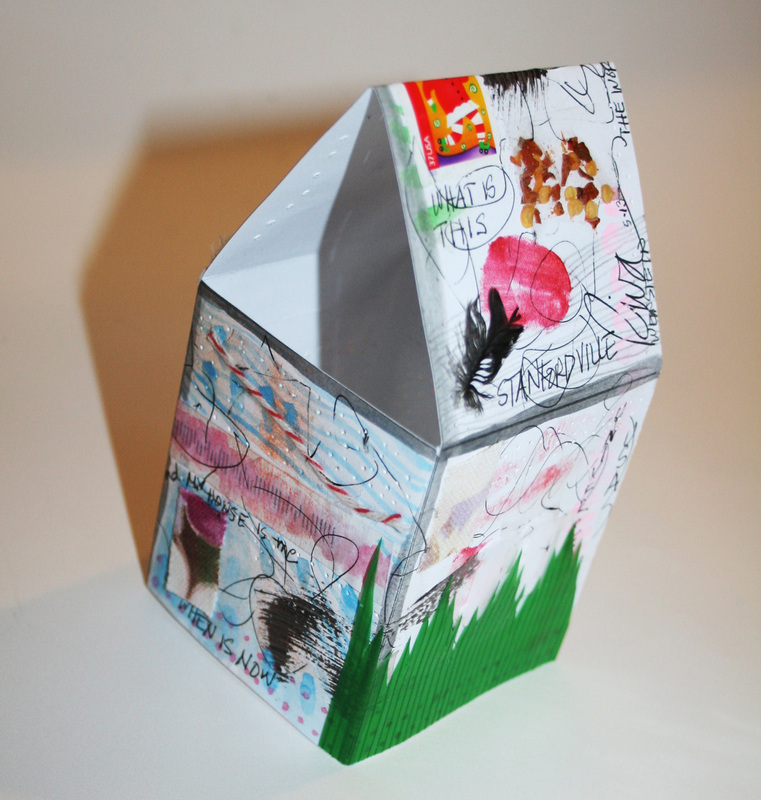 Inviting participants to mark and manipulate a small folding paper house and then return it to her through the mail, Hall sent out over 400 paper house templates to countries all over the world. 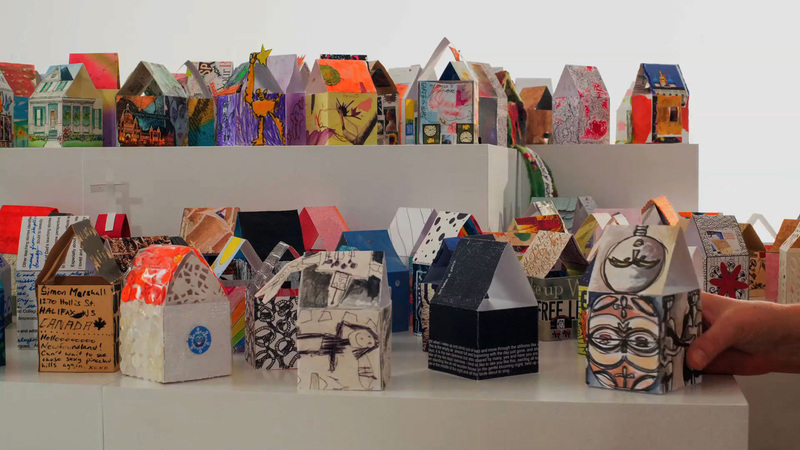 Slowly and sweetly, the houses arrived back in Newfoundland, where they are folded into form by the artist and then shared again through social media with the growing village of collaborators. 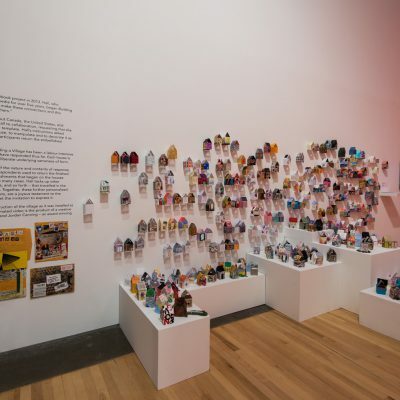 Excerpts of the project were shared on Facebook, and for the full story as it unfolded, you might explore it here. 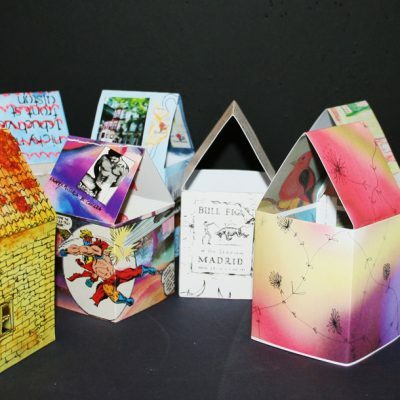 Below are some of the houses that were created for the project. 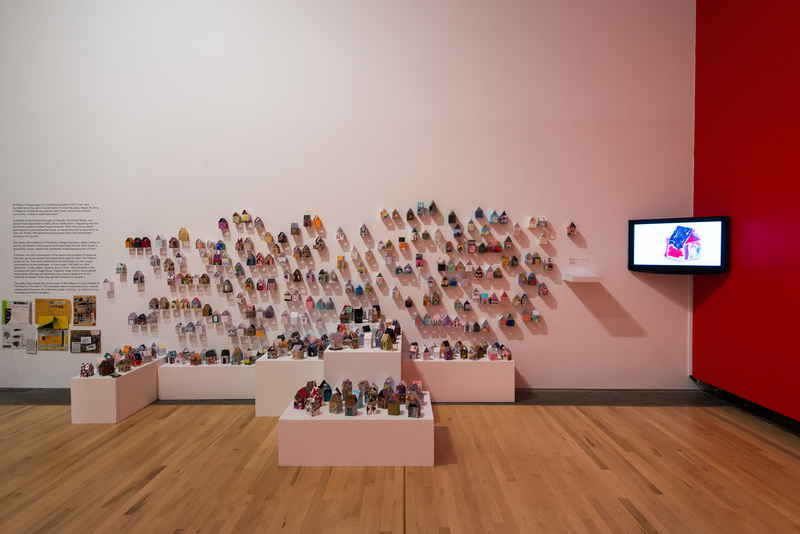 They arrived from California and the United Kingdom, from Vancouver and St. John’s, from New York City and from Montreal. 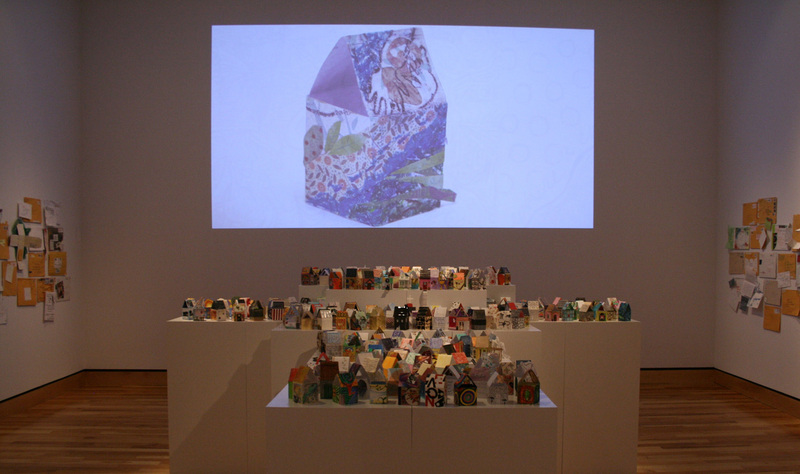 The entire village was shared publicly as part of Pam Hall: HouseWorks, in 2014 at The Rooms Provincial Art Gallery in St. John’s and in 2015 at the Kamloops Art Gallery in Kamloops BC. 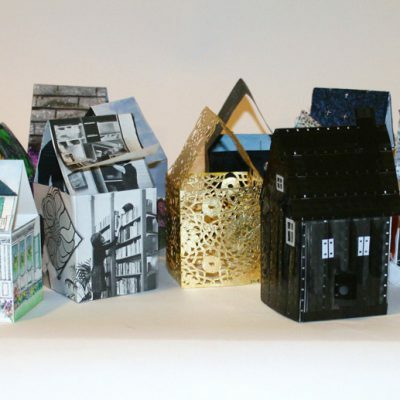 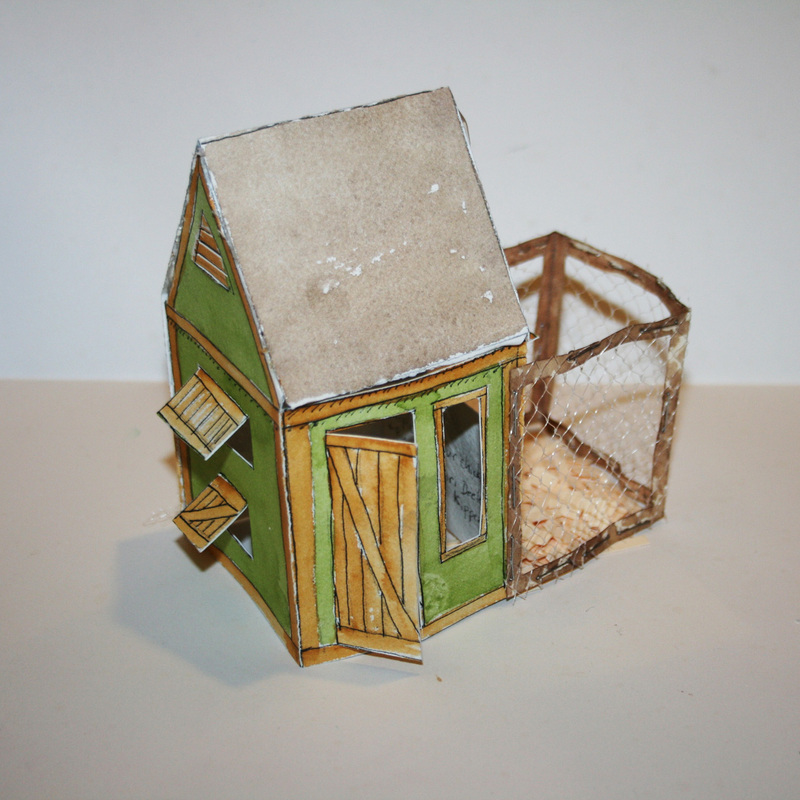 In 2017, Hall donated all the little houses of the village to Eastern Edge Gallery to help raise funds for the Mary MacDonald Foundation, honoring the young curator who worked tirelessly to build the arts community in St. John’s. 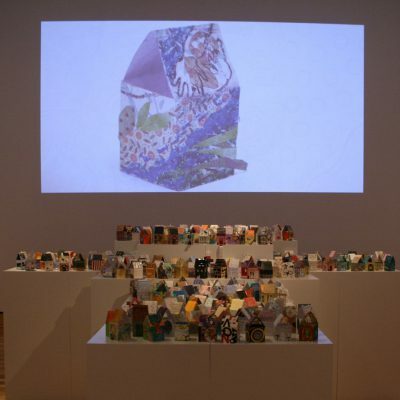 It was a fitting end to the project, that it should help to honor someone who had built their own village, lively and artful, here on the edge of the eastern ocean.